The newlywed Lea Michele looks stunning as she rocks new hairdo. 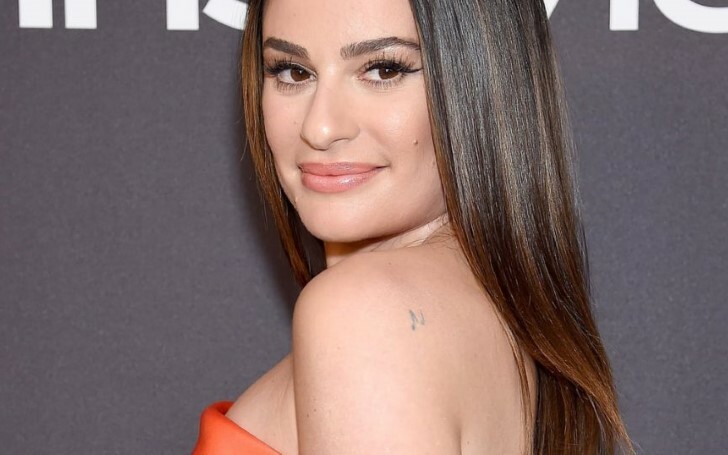 Former Glee actress Lea Michele proves you don't need to fully chop off your hair to get a new refreshing look. The 32 years old newlywed star recently celebrated her honeymoon with husband Zandy Reich was seen rocking a new hairstyle. Although there didn't seem a drastic change in her new look, it was obvious the actress looked highly different and refreshing because of the slight changes in her hair. Lea Michele shares a picture from her Honeymoon. In fact, if you look closely, you will notice Michele only trimmed a few inches off her hair ends. Deciding to keep her hair still long for the summer, the brunette went to hairstylist Nikki Lee for the assistance. Granting the actress's wishes, Lee didn't decrease any volume of her average-coarse wavy locks whilst still managing to make her espresso hair look fresh and clean. In addition, Lea didn't forget to put her new hairdo on social media as she Took to her Instagram account where she shared a couple of images. The new bride also shared a boomerang video clip of herself showing off her hair as she runs her finger through them. However, what we also noticed is that she lightly opted to tone the highlights of her thick locks. Lea Michele flaunts her new hairstyle on social media. Glammed up in a plunging baby sweater as seen in the picture, the actress credited her hairstylist in the caption, writing: "Fresh for spring! 🌸 Thank you @nikkilee901"
Lea tied the knot with now-husband Zandy Reich, the president of a clothing company called AYR earlier this month on 9th March. The lovebirds wed in Napa, California, in front of close friends and family including former Glee costars, Jonathan Groff and Darren Criss. Michele and Reich started dating from July 2017 following their years-long platonic friendship and got eventually engaged in April 2018. Read: Khloe Kardashian Vs. Jordyn Woods: Long Peroxide Blonde Hair & A Skin-Tight Dress - Who Wore It Better?